Posted on February 22, 2015 by Michelle M.
This entry was posted in Starring Roles and tagged Academy Awards budgie, budgie, Cooper, Oscar budgie, parakeet, Starring Roles by Michelle M.. Bookmark the permalink. 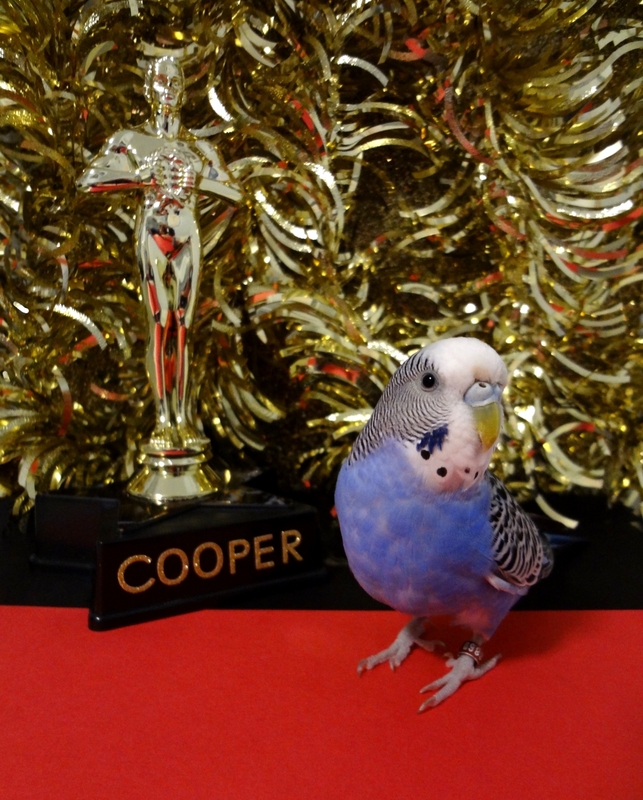 Not only well deserved for all the dazzling talent she exudes, but also for being the best looking, best dressed budgie on the Red Carpet; Well Done, Cooper!!! Aw. Cooper says, “Chirp!” (that’s “Thank you!”).